I've had a chance to develop and implement these strategies first-hand during the recession and its aftermath -- and have employed them myself. Not only have I consulted with many businesses over the years, but I've had a hand in running over 57 businesses of my own. I have a good idea of what works and doesn't work today, learned in the front lines of hand-to-hand small-business combat. 1. Have a written plan. 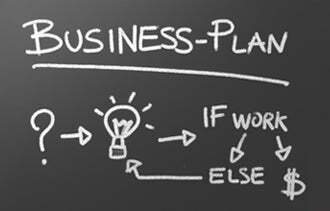 Without a plan, it is merely a dream. It doesn't have to be a book, but you need a few pages outlining specific objectives, strategies, financing, a sales and marketing plan, and a determination of the cash you need to get things done. Writing it all down is a crucial first step. 4. Keep track of everything, and manage by the numbers. Create written systems for everything, because you will reap benefits from them later on. This is how you train your employees and retain consistency. Know your numbers and check them daily and make all decisions based on what they tell you. One of the most important calculations is cash flow pro forma. Determine how much cash you need to do the business, and do not start without the required cash on hand. 7. Reinvent your business. It is net profit, not gross revenue, that you want to focus on. Separate yourself from your history and create a new competitive advantage, be it a focused niche or super service, but not by discounting. Above all, have fun. Being an entrepreneur is your choice, so make it work. It can be done. You can survive, emerge and succeed in this downsized economy, if you follow the right path.